Colloidal mineral silica in a convenient capsule form. Different to most other silica supplements, Qsilica Original Colloidal Silica contains microscopic particles of colloidal mineral silica. 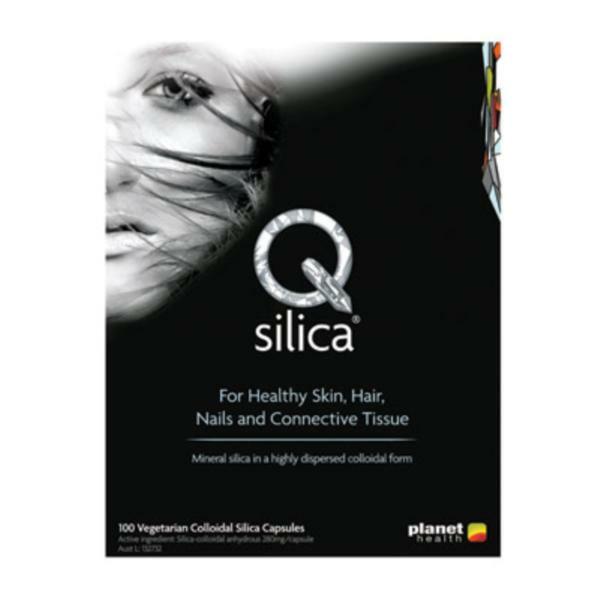 Qsilica is a convenient form of mineral silica, which is important for the healthy growth and functioning of connective tissue, skin, hair, nails, and joint cartilage. Qsilica can also help to support and maintain strong bones and teeth by playing a role in the metabolism of calcium in the body. Adults: Take 1 capsule with a glass of water or juice, once or twice daily. This is equivalent to 10ml Qsilica Original Colloidal Silica Gel. Qsilica Original Colloidal Silica Capsules are suitable for vegetarians and vegans.